A Tokyo business hotels review, budget stays, wild shopping, saucy bars, and ever so polite garbage vans. And now you can sleep in a bookshelf or go glamping. Cosplay couple portraying their favourite characters at the world's largest 'dojinshi' fair that draws record crowds twice a year in Tokyo. Fun and flair in the city. IN JAPAN EVERYTHING RUNS ON TIME. Trains. Clocks. Bowels. Even typhoons. Departing Narita as a major storm blows in snarling traffic and toppling telegraph poles, the lady at the check-in counter is unruffled. “Typhoon-o come 5-o-clock-o. Your flight-o depart 4.30pm. No problem-o.” Outside people are horizontal in the howling wind. People run on time too, screaming in all directions, when Godzilla turns up. If this happens to you, pick up the kids and run screaming (don't jump into a taxi – with the meter starting at ¥700 or US$6.50, you'll soon be screaming again). A pair of musk melons in the Ginza are no cheaper at ¥35,000 and up. It’s the Japanese way. Or so the movies have it. All idle guff of course. In reality people are running for trains. Including Godzilla. And, in the face of terrible calamity, the Japanese are stoic to the point of sacrificial passivity, taking tsunamis, radiation and earthquakes in their long-suffering stride. So when we landed, barely metres ahead of a super typhoon's snapping teeth, everything remained tickety-boo. If you don’t want a fire, and prefer your bottom the way God intended – beware. Then there are those peanuts whose wrapper states: “Not to be used for the other purpose”. Quite right. Japan is fraught with peril. Late night TV shows feature Arnold Schwarzenegger action movies – dubbed in Japanese. Always a place for new fads - and old ones - there's no end of choice for hostelries, from the quirky Book And Bed where guests sleep capsule style between bookshelves, and Hanare, a concept hotel in the ancient and undisturbed Tokyo district of Yanaka whose 'outlets' and 'baths' are littered across the town for insights into rural Japanese-style living, to the luxury-plus-nature intrigue of 'glamping' by Circus Outdoor in the far west of Tokyo at Okutama where beautiful old-world tents oddly redolent of knights and jousts are secretively perched in the hillside forest to usher travellers into a new dimension. 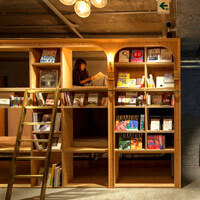 Book and Bed (in Shinjuku, Asakusa and Ikebukuro) serves up the expected smart mod cubist woody interiors littered with books and shelves, blue sofas, and the unsettling promise: "There are no comfortable mattresses, fluffy pillows nor lightweight and warm down duvets. What we do offer is an experience while reading a book (or comic book)... Dozing off obliviously during your treasured pasttime is the finest 'moment of sleep', don't you agree?" Well, at around Y5,000 per night we're inclined to agree. Circus Outdoor operates five tents - each with its own concept - pitched in the woods with prices starting at Y35,000 in the Jumpin' Jackalope tent (per person for a minimum three up to four) with the added privilege of a small restaurant with gourmet food from around the world. This goes up to Y150,000 per person in the Royal Griffin tent for up to two (persons under 23 are not allowed for some reason). Pets are welcome however. Petting too, we suppose, and breakfast and dinner is included. Enjoy long walks and the pleasures of the scenic man-made Okutama Lake. Hanare, the concept hotel, believes the whole town is your hotel. Located in the old district of Yanaka, that somehow eluded war and earthquakes to retain its proud ancient rhythm punctuated with prowling cats, temple chants and the buzz of murmured conversation at steaming public baths. Shop local style, cycle, try the Sento baths and stay in renovated old homes. The hotel encourages guests to explore and its 'facilities' are spread out through the community. Just north of Ueno, access is from Nippori Station on the JR Yamanote loop line. For some more local flavour in luxury, check out the Hoshinoya Tokyo (hoshinoya.com/tokyo/en/), a contemporary ryokan lodging in Otemachi business district (just north of Marunouchi and the Imperial Palace) with six rooms per floor and a common lounge on each storey. The minimalist place is hushed and intimate with a shoes-off policy at the large wooden entrance door as you pad about on the tatami flooring. Bedding is futon but enormously comfy and rooms resemble a modern hotel albeit with rice-paper-style window blinds and plenty of empty space. Westerners need not panic. The place has a resorty feel and is devoid of the normal noise and hubbub of other accommodations. Expect discounts of 50 percent or more for longer stays of five or more days on rooms running from US$300-$400 per night. 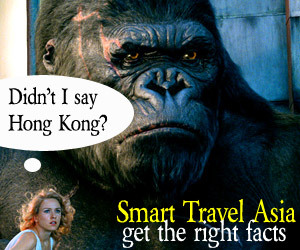 Get started with some useful information from the Tokyo Convention & Visitors Bureau (www.tcvb.or.jp/en/). Narita Airport Terminal 2 is an orchestrated scrum, albeit a very efficient one. Immigration queues snake through the hall, long enough to make the most hard-boiled traveller faint. But fear not. These lines move, briskly. Terminal 1 is a tougher nut. First things first. Your mobile phone won’t work here unless it’s a made-for-Japan model. Purchasing a Sim card won’t help either. There is no GSM network in Japan. There’s a simple solution though. Borrow your Japanese colleague’s phone. Or rent one at the airport. Or look for WiFi. Narita Airport (www.narita-airport.jp) runs a list of useful cell phone rental companies too. Change a fair bit of money (exchange rate US$1=¥112) at the airport. Hotel money exchange is a rip-off, smaller hotels cannot convert money, and banks handling foreign currency have terrifyingly cumbersome procedures. They also close early afternoon. Tokyo does not have the ubiquitous money changers so common in Hong Kong or New York. Carry as many ¥1,000 notes as possible as these will come in handy feeding subway ticket vending machines. And carry the proud, if sinking, US dollar that all hotels recognise. Or euros. You'll need your passport too and hotel details. Hong Kong dollars are difficult at best of times. ATMs do not accept all cards but, interestingly, you'll find several electronic teller machines at 7-Elevens. In Japan 7-Eleven is also a bank, called the 7 Bank with the store logo. So while major banks will fumble your currency conversion, the humble 7-Eleven ATM machines are a wondrous alternative. Be warned: many smaller restaurants and shops do not accept credit cards. Still, a depreciating yen offers unrivalled opportunities for exploration after years of fearsome climbs. Now you can leap back into the noodles and yakitori without worrying about your accountant. Getting into town is a snap on the Narita Express train (NEX, infoline tel:  50-2016-1603, Japan Rail info at www.jreast.co.jp), at ¥2,940 for the one-hour ride to Tokyo Station, or on the convenient shuttle Airport Limousine (www.limousinebus.co.jp) bus (¥3,100 to most hotels in town within an hour-and-a-half to two). A child's fare is Y1,550. The limousine bus fare from Haneda Airport to say Roppongi and Akasaka is Y1,130 for a far shorter ride. The orange buses are controlled by state-of-the-art GPS controlled by staff at the Tokyo City Air Terminal so everyone knows where the buses are. No drivers have been lost thus far, which is reassuring. Arrive dishevelled and disoriented and the last thing you want is for the bus to get lost, with Godzilla right behind. Duty free shopping boffins may like to know that a 12-year-old one-litre Johnnie Walker Black Label sells for around ¥3,000 (US$30) and a 12-year-old one-litre Chivas is the same. A Chanel Coco Mademoiselle 50ml eau de toilette retails for ¥7,200 (US$72) while a BVLGARI Jasmin Noir 50ml eau de parfum EDP is priced at ¥8,000 (US$80). Narita duty free prices have of course been subject to the vast vagaries of currency fluctuations. Meanwhile a Salvatore Ferragamo silk tie will set you back ¥14,000 (US$140) while an Hermes is dearer at ¥19,000 (US$190). Duty free shopping at Narita Airport Tokyo serves up a reasonable range of designer brands and products from Dior, Chanel, Shiseido, Gucci, Cartier, BVLGARI and Burberry, to COACH, Hermes, Tumi and more. For souvenirs and munchies there’s the Akihabara Tax Free Shop. Pick up an assortment of neatly wrapped Japanese desserts, watches, cameras and more. Electronics and camera prices are generally on the higher side. Getting around town is a doddle by subway and most train rides within the downtown area are about ¥160 (going up a bit on the JR loop lines and the private lines). Yes those pesky brown ¥10 coins that will soon overwhelm your bulging wallet are mighty handy. Subway train lines are colour-coded, good Tokyo maps are available, and stations are numbered too. The only trick is in selecting the right ticket machine. You do not normally want a JR (Japan Railway) machine unless you’re planning to hop on the above-ground Yamanote ring line that links Tokyo to Ueno, Ikebukuro, and Shinjuku. There are also a few private Toei lines that require separate tickets as they do not accept transfers. Taxi flagfall starts at ¥710 and the wallet gets speedily pummelled thereafter, the drivers’ extreme courtesy offsetting some of the pain. It will cost around ¥2,000 for a brief cross-town ride. Train rides may be problematic. Groping lady passengers on a train can land you with a hefty fine. Rather than getting fresh with the ladies on the train, far better to do the decent thing and head to Shinjuku to buy “fresh” underwear off students. The “fresher’ the underwear, the more expensive it is. Despite Godzilla and his deplorably poor manners, fresh fugu fish (which can kill you), sashimi, and underwear are keeping the Japanese economy alive. I thought I’d sell my own Marks & Spencers unders and make a few bucks but people started screaming and running in all directions. Typical. On then with our Tokyo guide, fun stuff, shopping, and a review of the best Tokyo business hotels, service apartments and budget hotel options where you are not inserted into a capsule. Tokyo is a vast, sprawling city, and your choice of hotel will determine whether you conclude your business successfully, albeit uncomprehendingly, or whether your feet fall off, smoking. The entire city is brilliantly connected by a thrumming rail network but there is a lot of trudging about involved especially at some of the longer interchanges. I tallied almost 10km on one particularly taxing trip in one day alone. Cut down on weight and bring sturdy shoes. That is unless your business is at a single office, or at your hotel, in which case you can don your best and shell out for taxis. One would have to begin any Tokyo business hotels guide, right in the heart of town in the Ginza and Yurakucho area, close by the Imperial Palace, and it is here, if your wallet will stretch, that you will find two excellent candidates – the traditional but smartly revamped Imperial Hotel Tokyo and the designer chic The Peninsula Tokyo. This is the Tokyo shopping heartland and your wallet will emerged bruised no matter what your course. 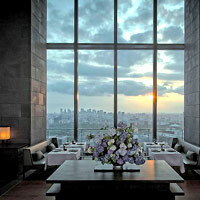 The Peninsula Tokyo is cautious with its swagger. Any hint of bluster would be anathema to the group. Things are understated and quiet, if brisk. Everyone appears to be whispering and gliding about the gleaming floor. The Peninsula is largish (with 314 rooms) but not massive, the interiors cosy, contemporary, and intimate, with lots of natural light – one of the advantages of a free-standing building that affords fine views of the Imperial Palace and the city. This is a Tokyo luxury hotel where the Standard Deluxe starts at 54sq m in a bright, sunlit setting. Expect pastel russet orange tones, embroidered fabrics, espresso machine, 42-inch flat screen TV with DVD player and a mobile phone to which your room calls will be redirected if required. Pay for your outgoing calls at normal rates. There is an electric key card now. There are multi-pin sockets for your appliances, a multi-card reader and fax/copier, while WiFi is complimentary in the room. Gold-hued horse chestnut partitions glide open on rollers and the roomy bathroom offers a separate bathtub and rain shower with twin vanities, DAVI toiletries and a spacious dressing room. The bathtub has its own LCD television screen. Find a hairdryer as well as a nail dryer. Nice little touch that. A discreet valet box in the corner is for your shoes and laundry. The compartment can be cleared by hotel staff without disturbing the occupant of the room and the polished shoes and laundry returned via the same route. The in-room safe is large, vertical, and can manage your computer and bits and bobs. Make yourself a cuppa using the Lavazza coffee machine. 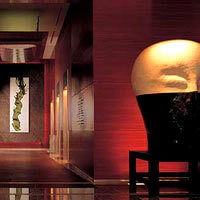 The Peninsula Spa by ESPA has treatment rooms, fitness paraphernalia, and a very inviting pool. Reinvigorated, step out past the vintage 1934 Rolls-Royce parked outside, to catch any one of four nearby train lines (the Hibiya station A6 and A7 exits afford direct access to the building). This is a top-drawer Tokyo business hotel with rarefied prices to match. It is also a solid address for small corporate meetings in Tokyo. Bring your CEO here. The revamped Imperial Hotel Tokyo smack in the bustling heart of Ginza has shed its musty image. It has long been favoured as a Ginza business hotel choice and as a multi-venue Tokyo conference hotels draw with 26 spacious ballrooms and function rooms, as well as an enormous business centre. 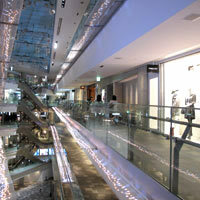 It is large, well located, close to train stations, and superbly positioned if you are on a Tokyo shopping trawl. The hotel has been around since 1890 and has seen its share of history and famous personages, as well as wear and tear – hence the assault on the masonry and fittings. The first brick-and-stone iteration ran from 1890-1919. Then a grander version designed by Frank Lloyd Wright launched in 1923 and remained mysteriously unruffled by the big Kanto earthquake. The modern building – the third iteration – emerged arose 1968. Following the remodelling, the look of the 931-room hotel is now cleaner but unflinchingly corporate. The lobby is roomy, traditional, with a modernist café, and the obligatory red-carpeted grand staircase. The old Frank Lloyd Wright Imperial Bar in aged brick with clubby chairs has been retained for a link with the past. Rooms look onto the Imperial Palace gardens and Hibiya Park. Wide white corridors with grey carpets lead to white wooden doors. Deluxe rooms start at 42sq m with complimentary Broadband internet and WiFi. Expect a granite washbasin, rain shower with body jets, Japanese style toilet that will scrub your bottom within an inch of perfection, bathtub, Shiseido toiletries, large king-size bed with side lamps and dimmers, pipe reading lights, flatscreen TV, coffee machine, and a flat top-loading laptop safe with power sockets. Also find an old-fashioned Seiko bedside clock. A small glass cabinet holds cups and glasses. The feel is homey yet modern, a far cry from the musty fumes of yesteryear. The Executive Floors serve up a deep pink carpet and more goodies for business travellers while the huge Frank Lloyd Wright suite offers woody interiors and generous living space with an eight-seater high-back chair dining ensemble. The feel here is more stately and clubby. The Imperial rates high on our Tokyo business hotels review with attentive service and well-oiled conference and meeting facilities. It is priced below The Peninsula and has some pulling power as a result. It is also well positioned as a Tokyo conference hotels address with extensive F&B facilities, a large room count and easy all-weather train access. For good value downtown, the Mercure Tokyo Ginza (a mid-range by Accor) is a serious option. There is an Alain Ducasse restaurant close by as well as a host of designer brand labels from Chanel and Louis Vuitton to BVLGARI. Look forward to 208 mod rooms with classically patterned Euro wallpaper and bright burgundy red chairs to pick from, in the heart of Ginza. There's a hairdryer and an in-room safe too. The hotel is functional and located a short stroll from Ginza dori and Harumi dori, not far from the exhibition and meetings space of Tokyo International Forum. The crisp, clean, minimalist Conrad Tokyo is a hushed corporate den with modern abstract masterpieces, high ceilings, plenty of light and dark woody tones. Everything runs in clean straight lines, which should please CEOs. With a lobby on the 28th floor of this downtown highrise near the Shiodome there is little through traffic and this lends the place a quiet, reflective air, with grand views. It is not the easiest of hotels to find coming from the train station though, so consult your map carefully. The suites are roomy, with cinemascope views over verdant gardens. You'll find a large-face room clock, two flatscreen 37-inch TVs, iron and ironing board, a mobile phone for guest use (as your phone will probably be off the air here unless you use a specific bandwidth 3G), DVD player and more. Standard 48sq m Classic rooms feature a glassed look-in bathroom with the usual floating rubber toys, a jovial Conrad signature. Expect a sleep-well pillow menu, body-jet massage showers, and a 26-inch flat-screen high definition TV. Toiletries are by Aromatherapy Associates and Shanghai Tang. There is Wireless and plug-in Broadband, charged for every 24 hour period. Marvel at the art and enjoy some fancy dining. The Conrad is clearly aimed at top-end pin-stripers on the go among the high-end Tokyo business hotels, and everything about it reflects this intention from small details to its good meetings and conference facilities. The French-designed boutique-style Park Hotel Tokyo is one of the city’s best-kept secrets as even from the basement of the Shiodome Media Tower where the hotel is located, the correct exit/entrance is hard to find. The hotel features an atrium lobby with a skylight, dark polished wood and white leather sofas. 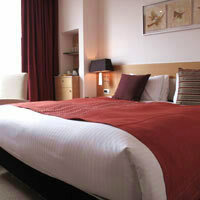 The rooms are compact (City Queen is 24sq m) and funky with a range of extraordinary pillows to suit all needs. There are pillows to suit petite Asian sizes with a soft and hard side. If you can’t find the right one, call a “pillow fitter” who will measure the curve of your spine/neck and set up one for you immediately. Guests are predominantly European though the public toilets are hi-tech Japanese – the kind where the toilet seat rises automatically as you enter and flushing sounds start emanating the minute you sit down, with no instructions in English. The bathroom offers a hand shower, hairdryer and Thann toiletries. You may have a good view over Tokyo Tower. Expect a rust-orange bed runner over a plump white bed, blonde wood headboard, light wood working desk with beige floors, flat-screen TV and two double flat-pin electric sockets to recharge your gear. There are classic light switches that work at the press of a button, a volume control, tea making facilities, and a comfy window-side armchair next to the rust-red curtains. Sliding doors open onto cupboards with a small box safe that won't host a laptop alas. There are rooms for disabled travellers too. After a session at the business centre or a small meeting at one of the two intimate salons (seating up to 28 persons), unwind for some aromatherapy treatment at the Thann Sanctuary Spa, or take the elevator down to the basement for direct Shiodome access. With so many Tokyo conference hotels in the vicinity, Park Hotel picks up the overflow with a value product and good location. The Mandarin Oriental Tokyo in Nihonbashi offers Cinemascope views of Tokyo Bay and is in striking distance of the best Tokyo shopping downtown, perched just above the Ginza line and a short taxi ride from Tokyo Station. Housed in the upper nine floors of the Nihonbashi Mitsui Tower, this crisp business hotel is centrally located close to the Bank of Japan and Mitsukoshi department store. Walk in from the station through a triumphal phalanx of “six star diamond” award ratings from the American Academy of Hospitality, seemingly since the dawn of time. Despite all this hype, the hotel is rigorously understated and immaculately turned out. As is de rigueur at ultramodern Japanese hotels, the lobby is vertiginously located on a high floor, here on the 38th. Whoosh up in a lift to savour the sunlit views. There are 179 rooms between the 30th to 36th floor, averaging 50-60sq m, each masterfully textured in wood, stone and fabric to create a sense of the elements. By February 2019 the hotel had renovated all rooms to offer a "contemporary Japanese experience." In suites, expect to spot a wisteria embroidered on the headboard and bedside cabinets fashioned from Paulownia wood. The wood and water theme has been maintained. Nihonbashi has long been known for its kimonos and rich weaves and this too is sensuously incorporated into the interior design. Expect four kinds of tea in-room, a safe that can manage a laptop and with power sockets, a choice of yukatas and pyjamas, a 46-inch flat screen TV with DVD player, and internet – plugged in or WiFi, alas with a charge for daily use. Toilets offer a separate shower and bathtub. Rooms look west over the Imperial Palace towards Mount Fuji, east towards Sumida River or south across Tokyo Bay. The 100sq m Oriental Suite serves up a deep olive crosshatch carpet with blonde wood chequered headboard and pinewood floors, HUGE flatscreen TV, DVD, and wraparound views of the city through floor-to-ceiling windows. Binoculars are on hand for close-ups. The linen thread count is 450 and it’s Egyptian cotton. The bathroom is expansive with heated floor, grey stone with black checks, twin vanities, rain shower, a Japanese style potty, laptop safe with power and a valet box in the walk-in closet for laundry and shoe polishing. The stuff will come and go without disturbing you at all. The hotel’s restaurants and bars have a bright contemporary feel where corporate high flyers and elaborately-coiffed metrosexuals will feel equally at ease. High above the city the 950sq m Spa at Mandarin Oriental Tokyo serves up vitality pools, crystal steam rooms, saunas, workouts and wellness treatments by the yard. Try a “Skin oxygen miracle lift” before heading to the in-house wedding chapel. A stylish option for those in search of an intimate Tokyo luxury hotel is the Four Seasons Hotel Tokyo at Marunouchi, with just 57 rooms yet ample space, and location, location, location. 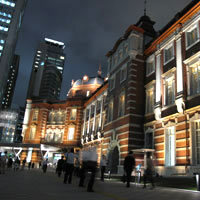 A few minutes’ walk will bring you to the main rail artery and redbrick building of Tokyo Station. Also a few minutes away by foot are Kyobashi Station (Ginza Line) and the Yurakucho Station. In-room amenities include flat-screen plasma TV, DVD/CD player, hypo-allergenic pillows (if required), laptop-size safe, and WiFi. The small spa offers two treatment rooms, sauna, jet showers, and a Japanese-style onsen bath. 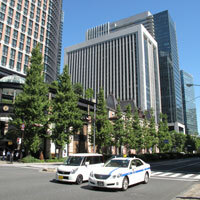 Another top-dollar location is the Shangri-La Hotel, Tokyo adjacent to Tokyo station (Nihombashi entrance). Occupying the top 11 floors of the Marunouchi Trust Tower, the lobby is on the 28th floor. Waltz in to be greeted by an aroma that is common to all hotels in the group, the “essence of Shangri-La”. There are 200 rooms of at least 50sq m. Standard features include 42-inch flat screen TVs, as well as 16-inch bathroom TVs and at least 300-thread-count bed linen. Horizon Floors for executives on the go are on the 36th and 37th floors. 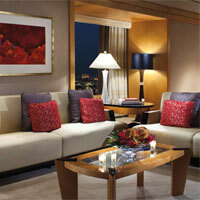 A Premium Corner room serves up 68sq m of light-filled space in a blonde-wood setting. A floral ochre-tan carpet lines the bedroom floor framing the bed with its rich wood headboard and charcoal-brown quilt and gold cushions. Expect a classic bedside clock, easy-to-manage large touch switches for electronics and, thank heavens, free WiFi. There’s a large flatscreen TV, Nespresso machine for quick morning cuppas, tall floor-to-ceiling windows offering HUGE views, beige divan and an elliptical work desk in wood with classy leather top. Find a data-port with two electric sockets and a multi-plug adapter. Bedside drawers have luggage strap holders as a design flourish and the flat laptop-friendly safe has a power socket inside. The toilet is Japanese style with all the humming and whirring trimmings. 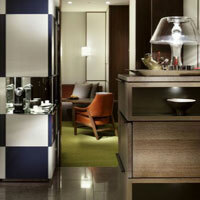 Regular rooms have L’Occitane toiletries, while BVLGARI products grace the suites. Shangri-La offers wedding facilities including its own chapel, and two restaurants, Japanese and Italian. On your way to Chi, The Spa at Shangri-La on level 29, don’t miss the 10m-long chandelier decorated with cut-glass gingko leaves. For a further unwind on the same floor find a gym and an indoor heated pool. Easier on the wallet is the cosy and stylish 205-room Marunouchi Hotel gleaming with burnished pine in the modern OAZO building opposite Tokyo Station. Rooms are bright, minimalist, in pastel tones with gold-hued woods. High-speed Internet access is reassuringly free. The hotel can manage small meetings of up to around 16 persons and offers wedding packages too. 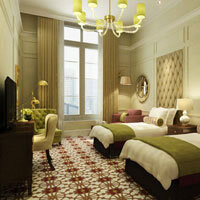 A new 150-room addition is The Tokyo Station Hotel (October 2012) with classic European flair. Think high white wood panelled glass windows, chandeliers, floral carpets and deep-padded headboards. This is as close to a Raffles as you can get here. You’ll also get flatscreen TVs and dark wood working desks. This is quintessential turn-of-the-century elegance at its restored best. The pace is unhurried but attentive and there is space for guests to pursue their postprandial strolls without falling all over each other. Rooms run from 26sq m to 40sq m and rates fluctuate accordingly. Easily hosting around 180 persons, this address is a splendid location if you are scrabbling about for a short list of Tokyo corporate meeting hotels. It has history, charm, and an unbeatable location right at Tokyo Station at the Marunouchi South exit. There is a spa as well with a thalassotherapy menu. The Aman Tokyo (opened December 2014), a rare urban outing for this distinctive understated group aimed at luxury travellers, is in the top floors of The Otemachi Tower with soaring views and the signature Aman interiors with minimal clutter, and textured grey stone - or wood - walls. The last time the group undertook a city excursion was at The Lodhi, New Delhi, an adventure that ended in 2013. Expect high floor-to-ceiling windows, clean straight lines, and a traditional Japanese residential feel. Located close to Tokyo Station and the Imperial Palace outer gardens, affords guests quick access to transport, strolls, jogging trails, and history. Cafe by Aman is focused on Mediterranean fare while ther wine cellar stocks over 1,200 bottles of the red and white stuff. The 84 rooms and suites are again zen in their simplicity, unburdened by fuss with plenty of space for eye to the engage with inroom features or, perhaps, the distant silhouette of Mt Fuji on a clear day. 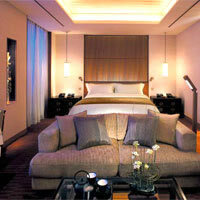 At 80sq m Premier rooms are expansive and hushed while Suites serve up 141sq m to swing an elephant or more by the tail. Think pale wood floors, slim wooden furniture, and square soaking tubs with a window perch. Apres work is the ultimate indulgence of the Aman Spa where traditional remedies and body rubs await, from 'kampo' herbs to signature treatments. There are eight treatment rooms, a yoga and Pilatus studio, and a 30m temperature-controlled swimming pool. There's much of Japan in the feel and design of the place, less so on the menus, which is surprising. The Palace Hotel Tokyo, just across the road from the Imperial Palace and sited along a broad water feature enjoys a pleasant and green location. The old hotel was knocked down and rebuilt over three painstaking years to return mid-2012 as a modern yet classically underpinned steel and glass address. The first thing that is evident about the Palace Hotel Tokyo is the abundance of natural light and high ceilings that create an immediate sense of unimpeded weloming space. The lobby is done in pale greens and yellows with minimalist furniture and gleaming open spaces. Several of the 290 rooms, accessed by electronic key cards, face the lake and palace lawns and they are a tad bigger than before. The 45sq m Deluxe serves up a large balcony with two chairs and a table and Cinemascope views over the parkland. A powder brown carpet rims the plump white beds with their grey-brown runners. Expect cream wallpaper and a see-through glass partition separating the bedroom from a soaking bathtub. There’s a large rain shower, Japanese toilet, a nice and bright wall mirror and wooden blinds to defend modesty should the tub view need to go off limits. In-room find a large flatscreen TV, flat top-loading laptop safe, a shoe stretcher and wax polish for those last minute brush-ups. A long and narrow wooden desk runs along the wall and contemporary Japanese touches are evident everywhere. Towel off with an ultra soft “imabari” cloth before settling in to watch a DVD or cruise the internet with free WiFi. The data-port has two three-pin multi-plug sockets, there is a bedside clock with a classic face and hands, and light switches are tactile and simple push button affairs. Hurrah! The 75sq m Garden Suite is in olive and lime green tones with a wraparound balcony with ferns. On the fifth floor is the Evian Spa (a first for Tokyo) and the gym. We like this new-look hotel. It is bright, welcoming and brisk, ideal for small corporate meetings with eight function rooms, the largest holding 1,500 persons. A surprising niggle – and a major moan for many – will be the fact that the small swimming pool is charged at ¥2,000 per person per day. Quite astonishing. Still, it is complimentary for guests on Club floors. This address rates high on our best Tokyo business hotels review and should also be marked down as a Tokyo conference hotels choice. Sister property to the Palace Hotel Tokyo, the Hotel Grand Palace in Kudanshita, offers attentive service at reasonable prices within the shadow of the Imperial Palace. The hotel is convenient for business or leisure travellers with five restaurants. Accommodation is clean and neat with an emphasis on simplicity and functionality. A short stroll from Hotel Grand Palace is the Tokyo budget hotel chain managed Keio Presso Inn Kudanshita (options also in Kanda, Shinjuku, Otemachi and Ikebukuro). The inn offers small but clean rooms with just enough room to swing your legs between the bed and the long work desk. There is a small LCD television and free internet LAN connection in all rooms. Breakfast is served complimentary in the lobby. Not far from here, a short five-minute stroll from Jimbocho Station’s A2 exit is the friendly Hotel Villa Fontaine, a grand name for a simple place with smart 16sq m rooms with a bit more wiggle room than at Keio Presso Inn. 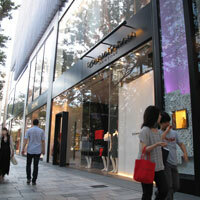 Villa Fontaine has outlets in Shiodome, Roppongi, Kayabacho and Otemachi among others. Service is friendly. Limited English spoken but it’s enough to get by. You can rent a pant press and there is a coin-operated laundry in the premises along with soft-drink vending machines. In-room expect an all-Japanese channel television, small desk with internet cable (there’s free WiFi in the lobby), two two-pin sockets, a bedside alarm clock, and window overlooking the street. There is no cupboard but ingeniously placed hanging pins will take care of most essentials. The place is compact but there’s enough space for small luggage. The bathroom is a tight fit but again, manageable, with potable water from the taps, fast hot water access, and a Japanese potty. Check-in is strictly 3pm and check-out is strictly 11am (you’ll pay per hour thereafter). The Tokyo Dome Hotel on the JR line is not far from here with 1,006 rooms in simple white and beige, nine restaurants and 18 banquet and meeting rooms. Panoramic open views in all directions. A good Tokyo budget hotel option is the Tokyo Green Hotel at Korakuen near the Suidobashi JR line (west exit). Expect a compact 10sq m room with free internet, shampoo, toiletries and a bath robe, and breakfasts at ¥630 per person. There’s a trouser press on each floor as well as vending machines. A Superior double room stretches to a comparatively grand 18sq m.
The Kanda area, just one stop from Tokyo Station is a quiet and unremarkable neighbourhood but it offers some usefully cheap Tokyo hotel choices and a fair bit of cheap nosh for when you stagger home. 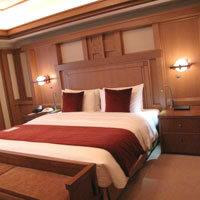 The Grand Central Hotel is a super choice, just a few minutes’ walk from Kanda Station. The rooms are small but not unduly so, with hairdryers, free high-speed internet (with cable provided), working desk, small TV with Japanese channels, a yukata robe and a clean if compact toilet where it is possible to brush your teeth without having your elbows banging on the walls waking neighbours. Downstairs is a neat café, vending machine for soft drinks and snacks and a Laundromat. Grand Central Hotel is clean with polite staff who speak good English and strive to understand most accents. Up in Asakusa, right across from the Senso-ji Temple and with views of the Tokyo SkyTree, is The Gate Hotel, a smart, contemporary offering with little fuss, much flair and quick access to the underground. This little mid-rise launched August 2012 and offers 137 rooms with free WiFi, a small safety box for cameras, flatscreen TV, mirror with colourful frame, deep blue carpet and grey textured wallpaper. The rooms are mod with splashes of red and have clean lines. It is an attractive ensemble. The toilets are compact and white with a tub plus rain shower and a Japanese-style potty. Standard rooms start at 24sq m. There is no pool or fitness centre. The hotel has one restaurant on the high floor lobby level. Roppongi is bright and brash with several excellent hotel options. Shaking things up in the broad neighbourhood is the boutique-style Andaz Tokyo Toranomon Hills (11 June, 2014), with 164 rooms, including eight theme suites, and a welcome platter of complimentary WiFi, non-alcoholic drinks, local calls and snacks. This hotel is part of the Hyatt stable's "personality" line, a whimsical offshoot that takes business travellers and the hip and happy away from the staid efficient box and breakfast routine. Toranomon is a business district in the heart of Tokyo close to Shunbashi, Kasumigaseki and the ever-visible Tokyo Tower. The Andaz is perched atop a high-rise building - a short stroll from Tokyo Metro and JR Rail stations - with sweeping views from its 52nd-floor Rooftop Bar. Other attractions include a well featured spa, a 20m pool overlooking the Imperial palace, and a wedding chapel, described as the "highest in the city". That's one way to say "I do" and let vertigo bring on the swoon. Rooms are clean and uncluttered with a woody feel and moss-green carpets. A 65sq m corner Deluxe king offers ample elbow-room with partitions that enable guests to tailor their own space around a central bathtub. Sensible. Expect a 42-inch flat-screen television, iron and ironing board for crisp creases the morning after, Bluetooth speakers, and laptop-friendly safe with a charging point inside. A 125sq m corner Andaz Suite is even more generous with the rumpus room with views of the Imperial Palace grounds, a treat in any weather. Arrange a small corporate meeting in the Studio before retiring to the 1,350sq m spa that incorporates a fitness area. One of the top business hotels in the area is The Ritz-Carlton Tokyo, a short walk from the station in the 248m Midtown Tower. Soaring above the city does have its advantages with excellent views of Tokyo Tower and beyond. Find your way from the arrogant arching atrium of the Midtown entrance to an unobtrusive hotel entrance and carpeted corridors on to the high-speed elevators that will whisk you up to the lobby on the 45th floor with its art pieces and modern sculpture. There are 248 rooms in all attractively designed in light pastel with an accent on simplicity. Nothing over-the-top here. Find a 40-inch SONY flat-screen TV and DVD, a large dial room clock with old-fashioned “hands”. Remember them? The dressing and bathing area features twin vanities, two cupboards and a separate bathtub and shower with the added distraction of an LCD TV. The in-room safe is flat and has a useful power socket for laptops. After hours soak up the treatments at the spa by ESPA or savour gourmet treats at The Ritz-Carlton Club where endlessly flowing confections will satisfy the most demanding palate. As a Tokyo conference hotels choice, The Ritz weighs in with over 1,100sq m of function space including a 560sq m ballroom. Grab a “technology butler” and get your meeting started. The chic, ultra-mod 387-room Grand Hyatt Tokyo is also conveniently located a short walk from Roppongi Station in the highrise cluster of Roppongi Hills. The Grand Rooms are spacious, starting at 42sq m with a large working desk, DVD player, flat screen TV (with an LCD in the bathroom), WiFi, and a flat safe with built-in power socket for a laptop recharge. A glass partition separates the bathing area. 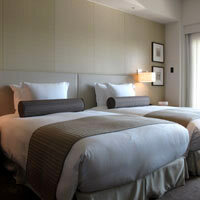 The Grand Deluxe rooms are 55sq m while Grand Suites take you up to 85sq m, enough to swing Godzilla by the tail. Nagomi Spa and Fitness serves up 1,300sq m of wellness escape with a red granite swimming pool, whirlpool, sauna, gym and treatment rooms. The place ranks high among Tokyo business hotels and also offers versatile meetings and conferencing space with 13 meeting rooms and a whopping 2,800sq m to play around with. In fact you’ll likely be at the Grand Hyatt on a conference and this is the hotel’s strong suit. There are several dining choices from Japanese and Chinese to French and Italian, but the neighbourhood abounds with options so you’ll never starve – at any price. 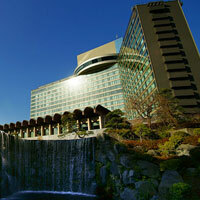 The gleaming ANA InterContinental Tokyo, between Akasaka and Roppongi has good facilities and service to match. Several rooms are non-smoking. All offer internet access, with satellite TV. The property is housed in the "intelligent" Ark Hills complex in the centre of the nightlife buzz. Talk to it. 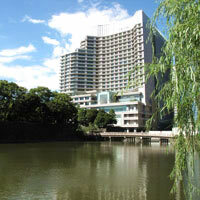 Expect modern facilities, fitness centre, business centre, brisk service, and good Japanese nosh. Traditional options in the swish Akasaka neighbourhood include the immense Hotel New Otani – actually three hotels in one – with its splendid 10-acre gardens, 37 restaurants and bars, pool, spa, and complimentary high-speed internet in Executive Rooms. Set on a low hill, the three-pronged hotel offers commanding views in a stately old world setting. Opt for the Main wing or the more pampered environs of the Executive House Zen and its lounge with free flowing drinks and even medicinal porridge. The New Otani Club caters for executive travellers on the go. Tokyo service apartments are burgeoning in this area competing strongly with Tokyo hotels, offering high standards of service and long-stay amenities and far cheaper rooms. Look at the Oakwood Residences Akasaka and Oakwood Apartments Roppongi Central. The Oakwood Roppongi service apartments offer 69 smart options each with flat-screen TV, satellite hook-up, large work desk and Broadband with a Studio starting at ¥15,000. If you need a stylish but cheap Tokyo hotel, this may be the way to go. The residences offer more space and style. The grand and expansive Hotel Okura Tokyo near Toranomon Station is smack next to the US embassy outside which there’s always someone or the other shouting slogans and being carted away by police. Get used to it. Hotel Okura rooms are large and stately in the manner of Gone With the Wind, with period furniture, heavy silken drapes, and classical European touches everywhere. This where royalty and heads of state tend to stay so you’ll be in excellent company. A highlight at the Hotel Okura is a charming tea ceremony room overlooking a garden where you can sip the finest brews and meditate on that business deal ahead. There are 855 rooms in all including 85 suites, all with TVs linked to wireless keyboards for surfing the internet. Rooms while a bit dated, offer contemporary chic in unobtrusive pastel beige hues and pinewood. Some offer glass partitions for peek-a-boo bathrooms, now much the rage in hotel design. 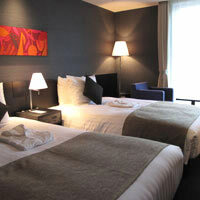 Spacious Deluxe rooms are around 45sq m with hairdryer, high speed internet, video on demand, and safe. Grand Comfort rooms offer 36sq m of trim stretch room but with massage showers in the bath. Or pick a 46sq m Ladies Suite Premiere with additional feminine trimmings and pink chairs. There are a number of fine restaurants. All in, with a good business centre, fitness club with indoor pool, dental service, barber, shopping arcade, and the Spa Nature Court, Hotel Okura is a good bet among any Tokyo business hotels shortlist if work brings you to this downtown area. 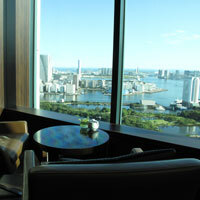 It is also a good secluded location for corporate meetings in Tokyo with a Japanese flavour. The hotel remains true to its Japanese roots and is a patron of the arts. Ikebukuro is a bit out of the way to the northwest of the city but within the JR Yamanote over-ground line loop. This is a growing business district. Upscale options in this vicinity include the Hotel Chinzanso Tokyo (rebranded from Four Seasons Hotel Tokyo at Chinzan-so in January 2013), sited in a 17-acre Japanese style garden bursting with its take on classical western elegance – deep sofas, floral patterns, tasselled cushions, and so on. Everything is large, plump, and comfy. Inroom expect video, CD, flatscreen TV, non-allergenic pillows, down pillow, free WiFi and, later, for a serious unwind, the 2,000sq m Yu spa. The hotel, with a planned roof garden, is a short walk from the Edogawabashi Station and a not-too-pinching taxi ride from the JR Mejiro Station. Modern high-rise Hotel Metropolitan Tokyo, is an 815-room monolith in Nishi-Ikebukoro, with snappy business facilities and snappier transport links. 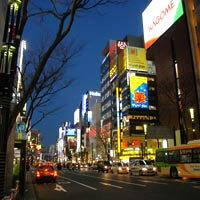 Adjacent to Ikebukoro station, it’s also close to the trendy entertainment district Shinjuku. Rooms are smart and uncluttered in the usual pastels. 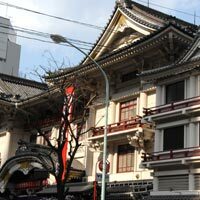 A popular Tokyo budget hotel choice in the area is the Sakura Hotel – the group runs small lodges in Ikebukuro, Asakusa and Jimbocho, where you can get a private roof over your head from ¥6,800 (plain room, no cupboard) or muck in at the dormitory (bed with curtain divider) for ¥3,200 up. 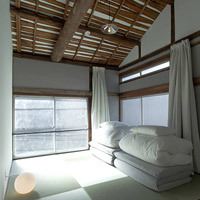 There are ryokan-style tatami mat rooms with futons too. The designer Book And Bed (bookandbedtokyo.com/en/) in Ikebukoro, Tokyo, near Shinjuku, serves up something completely different - a hostel in clean wood tones and minimalist lines, with the 'bedrooms' sunk into and behind bookshelves. That's right, you sleep with the books. What seems a quirky idea, seems to have taken off, and the compact rooms - 120cm x 200cm, or the size of a single bed - are well thought out and presented. Pick a 'bookshelf' bed or a 'bunk' with step ladder and choose from two sizes of beds, 'standard' and 'compact'. Whew, this is getting tight, but it sure beats a capsule hotel. A Compact bed may start from just Y3,500 so this is money well spent (or saved). If you never had a chance to sleep in an IKEA cabinet, this is for you. It's all Swedish homey seeming stuff. Find a good book and stuff in for the night. There are day rates too. The books are not for sale, alas, and showers and toilets are shared. The hotel is close to the Marunouchi line to skipping into town is a a breeze if you can fob off the sleepy salarymen. Say Shinjuku and it immediately conjures up visions of the racy neon-pulsing Kabuki-cho entertainment area or, at the opposite end of the scale, the Park Hyatt Tokyo with its immense views of Yoyogi Park and the city, immortalised in the Bill Murray and Scarlett Johansson movie Lost in Translation. The hotel is part of a modern tower complex and arrival is pretty understated. So much so it may take a while to figure out the entrance if you are walking in. Of course, most will opt for the short taxi ride from Shinjuku Station on the JR Yamanote Loop line. Once up the lift to the lobby on the 41st floor, guests could wander endlessly down hushed hallways asking for reception, which is eternally “at the end of the corridor”. The corridor runs past mysterious, inviting restaurants, and dimly lit bookshelves, and you might easily find yourself in the lift again heading up to the stylish New York Grill & Bar where you might sip their signature L.I.T with its melange of saké, Sakura liqueur and Peachtree. If you do make it to the lobby, well-groomed men and women in black will glide up noiselessly and attend to you with perfect poise while you gawp at the fabulous views in all directions. Extra spacious 45sq m rooms offer complimentary high-speed internet and WiFi, a smart work desk, personal entertainment, walk-in closet, and Egyptian linen that's easy on the eye as well as on the body. The safe can manage a small laptop. And there’s a 37-inch plasma TV with an LCD in the toilet. Find a dataport, DVD player (VCR on request), CD player and access to a CD library. Name it, it's available. Design is very Zen, simple, with starched-white fabric crisped across the beds and deep pastel carpets. In Suites you can hook up your iPod. At the Club on the Park, indulge in exotic Park Siesta spa treatments including hydrotherapy. And don't miss out on the New York Bar and Grill. Other Shinjuku options are pretty muscle-bound when it comes to rooms. These include longtime stalwarts, the humungous four-star 1,435-room Keio Plaza Hotel Tokyo with its complimentary internet access, and the 815-room Hilton Tokyo, a business and leisure veteran with its distinctive wave architecture. The Hilton did a big top-to-toe US$35 million refurbishment some years back. The Hilton Executive Floors (with 30sq m rooms) offer access to the Executive Lounge with complimentary breakfast, flowing cocktails, and in-room LCD television and DVD player. Cell phone rentals are available. The 10,000sq ft Kiku Ballroom at the Hilton Tokyo can accommodate 650 persons seated classroom style (or 1,200 theatre style). Also find a pool, fitness room and tennis. Both Hilton and Keio Plaza are a short distance away from the station. Also look at the Hyatt Regency Tokyo (once the Century Hyatt Tokyo), with woody rooms from 24sq m to 28sq m, high speed internet, Regency Club Rooms (the Regency Suite is a generous 71sq m with soaking tub and rain shower), pool, spa, 18 function rooms and eight bars and restaurants. While all these properties are a short hike from Kabukicho, on the “other” side of the tracks, the Shinjuku Prince Hotel is in the thick of the action right by the tracks. It’s a seemingly grotty and dull old brick building, but it is nevertheless a useful choice with friendly staff and easy access to trains. And, at ¥9,000 low season, the price is right. Rooms have been refreshed and sport deep burgundy and blacks. This is also one of the rare hotels that can change Hong Kong dollars should you happen to be carrying these. Being an old-fashioned place, the lobby is in the basement and not perched atop some dizzy height. The Westin Tokyo features some novel 42sq m Westin WORKOUT rooms (among its 418 inventory) with the signature “Heavenly Bed”, fitness equipment, exercise mat, treadmill and flat-screen TV almost as flat as your tummy will be by the end of the stay. The place is clubby with deep rich tones and gleaming black floors. Staff are responsive and quick. Internet is free at the Executive Lounge. There’s a Mitsukoshi department store next door and, talking of workouts, it’s a stiff 15-minute walk to Ebisu Station on the Japan Rail Line. The hotel’s Galaxy Ballroom (1,224 theatre style capacity) is the centrepiece of its pitch to be on your list as a Tokyo conference hotels choice. The Westin can manage both intimate small corporate meetings and larger events. It is a good Tokyo business hotel if work brings you to the east of town. So on to our Tokyo guide, Tokyo shopping romp, offbeat fun, and a few seedy dives. It can get wild. Peel your eyebrows off the ceiling at “maid cafés” in Akihabara where waitresses dress to serve and please, “butler cafés”, theme bars where staff are kitted out as doctors, or nurses, or gawp at students selling underwear to delighted old codgers in Shinjuku. Ginza and Yurakucho with their sizzling neon and stratospheric prices are the epicentre of any Tokyo shopping expedition. Start with window browsing and an occasional brave foray inside. The teeming epicentre of Ginza is at the intersection of Chuo-dori and Harumi-dori. Come up for air at the Mitsukoshi department store and gawp at amazing window displays at Waco (an oldies hangout). In this vicinity are Matsuzakaya, the Jena bookstore, Hankyu, Mikimoto (tel: 3535-4611, www.mikimoto.com/jp/) for high end pearls, Seibu, the Sony Building, Sukiya Camera (specialising in Nikons), the Nissan showroom and the humungous come-in-and-play Apple Store complete with a giant rotating apple emblem on the roof. Between Mitsukoshi and the Hankyu department store, along Harumi-dori, you’ll find a rash of side streets bristling with designer-ware cheek-by-jowl with simple discount stores. This is the rarefied preserve of designer brands like Dior, Longchamp, Giorgio Armani, Hermes, Gucci, Dolce & Gabbana, Breitling, Chanel, Ermenegildo Zegna, St John, Shanghai Tang, Salvatore Ferragamo, Tag Heuer, Burberry, and COACH. The large, easy-to-spot no-brand Muji store (10am-9pm, 3-8-3 Marunouchi, Chiyoda-ku, www.muji.net) in Yurakucho is a wonderful alternative to hysterical spend. It has a decent café too. Muji stocks a delightful array of “no-brand” clothes and household goods all the more refreshing for their lack of mindless similarity to thousands of other so-called brands. Muji prices are generally more affordable. One of the more interesting spots for silk ties and formal shirts in Ginza is the specialist Teijin Men’s Shop (tel: 3561-7519, www.tjnaso.co.jp/teimen/), where prices start at around ¥12,600 (US$126) for a splash of colour around the neck and about the same for cotton shirts. Teijin also has, a short stroll from here, an oversize items “sports” shop. For a more sober wind-down pop out at Tokyo Station's Marunouchi North Exit and head for the OAZO Building and the Maruzen mega-bookstore (tel: 5288-8881, www.maruzen.co.jp/corp/en/index.html). The fourth floor is devoted to foreign publications and frazzled foreigners rehearsing their konichi-was. Pick up delightful recipe books, maps and more. Anyone on a Tokyo shopping binge should drop by here for a breather. There's a restaurant too. Maruzen is an established bookstore whose antecedents date back to 1869. If paying by credit card do not be alarmed if a sales girl enquires, “One? One…?” She’s asking if you wish to pay in one or more instalments. Just show one finger (the right one) and smile. You'll spot several novelty stores like Toffy (www.toffy.jp) around town in areas like Shiodone, Roppongi, Odaiba and Ikebukuro with fun stuff, electrical gizmos and Burt's Bees hand cream (¥1,575). Omote-sando is sleek wall-to-wall Dior, Armani, Burberry, Louis Vuitton, BVLGARI, Top Shop, Top Man, Max Mara, Hanae Mori, Kenzo and more. Also open are ZARA and H&M. The pride of the district is Omote Sando Hills (tel: 3497-0310, www.omotesandohills.com) development, a funky reconverted old building with an atrium and intriguing ramp-style angled walk-up to all floors without steps with the result everything appears to be tilting. You are always walking either up, or down. There is no specific floor as each floor is essentially leading up gently to the next. Omote Sando Hills shopping will take you past the likes of Dolce & Gabbana, Yves Saint Laurent, North Face, Harry Winston, and Shu Uemura. There are also a number of eateries and ice-cream parlours should the feet give out. And yes, there are escalators and lifts. This is the high end of Tokyo shopping where elegantly draped fashionistas prowl, six-inch platforms are the norm, and women click about on stilettos that could skewer a marlin. But neighbouring Harajuku offers a rare treat – the five-storey Kiddyland (tel: 3409-3431, www.kiddyland.co.jp) is bursting with oddities, stuffed character toys, games and mad inventions. This is a super children’s shop and fun for parents too. Everything from horrifying masks to electronic games, toys, novelties and stuffed cuddly animals. Pick up a 'Rilakkuma (a very relaxed Bear)', stuffed for snuggles at Y1,500. There's a Hello Kitty section on the fourth floor while Snoopy Town is in B1. The Harajuku store has a tax-free store too for shoppers counting their yen. The side alleys in this area are a treat with regular infusions of local creativity and street corner cafes patrolled by kids in outlandish dresses and costumes right out of the comics. Don't be surprised to spot Little Bo-peep looking for her sheep. Assist On, along Onden Street sells innovative paper gear ranging from cabin bags for travellers to laptop cases with zips and compartments. This is a sturdy waterproof stuff. Something top-of-the-line here will be around ¥29,000. The Ales Shop on the first floor next door sells wigs and wild accessories from ¥3,000 up. And across the busy intersection is the tiny but popular Condomania where you can pick up an affordable chocolate flavoured condom. Akihabara is highly rated for its cameras and electronics. If it beeps, buzzes or pings you’ll find it at LABI Akihabara (tel: 5207-6711, www.yamadalabi.com/akihabara/) or Laox (tel: 3253-7111, www.laox.co.jp). Get off at Akihabara Station and look for the “Akihabara Electric Town” exit. The shops start right at the station. Yodobashi Camera (tel: 3346-1010) is in Shinjuku and Akihabara with a huge array of discount cameras. Pop by the giant Yodobashi-Akiba (www.yodobashi-akiba.com) store in Akihabara right by a train exit. This is not just a camera and electronics store. Aimed at him and her, you'll find a vast array of beauty care products too on the third floor including state-of-the-art Star Wars Ferrari-red hairdryers from Panasonic. Gawp at the latest mobile phones, or try on fake eyelashes, while listening to announcements in Japanese, English and Hindi and jolly but startling music tracks. Bic Camera can be found in Shinjuku, Ikebukoro and Yurakucho (tel: 5221-1111, www.biccamera.com), and the amazing hybrid combination of BIC Camera + UNIQLO, called BICQLO, is at the Shinjuku east exit. The more adventurous could venture into Japan Sword (tel: 3434-4321, Toranomon Station, Sakura-dori, www.japansword.co.jp), for reproductions ranging from ¥20,000 to ¥80,000 or more for prized tameshi-giri blades that have drawn human blood, and I don’t mean while shaving. And the less intrepid can play with dolls at Yoshitoku (tel: 3863-4419, Asakusabashi, www.yoshitoku.co.jp), an outfit that has been making stuff for the royal family for generations. 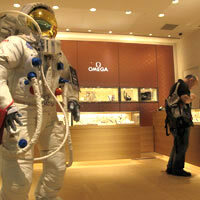 Or simply dip into pearls at the Tasaki Shinju Pearl Gallery (tel: 5561-8880, www.tasaki.co.jp) in Akasaka. However, the big question is where to have fun in Tokyo without actually losing an arm and a leg. For the best prices and eye-popping action, head to Shinjuku and its racy Kabukicho district pulsing with lights, discount “100 Yen Shops” (where everything is priced at ¥100 or less) and burly black touts sporting American accents. The items for sale at 100 ¥en Shops are unexceptional but how many people can tell their friends they picked up a Hello Kitty notepad for around US$1? A large outdoor video screen marks the beginning of Kabukicho. From here on, you’re on your own. Browse books at Kinokuniya (tel: 3354-0131, www.kinokuniya.co.jp/), or pop by a 24-hour Don Quijote discount store and its mind-boggling array of everything from inspired gadgets and cosmetics to no-I-don’t-really-need-an-Obama-doll kind of stuff. Enter at your peril and rummage about the stalls that seem to follow no particular order. 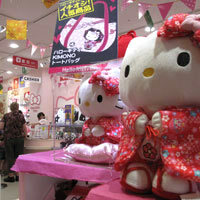 You'll find this ubiquitous store in Shinjuku, downtown Tokyo and on Roppongi's Gaien Higashi Street (www.donki.com). Look for its 24-hour tax-free outlets that are open only to foreign visitors (passport required) with a ¥10,000 minimum purchase. No duty-free alcohol or cosmetics alas but there's no problem with fashion brands, digital cameras and electronic items. Also good value is the Shimbashi area where you'll spot several street stalls and cosmetics shops in the basement thoroughfares leading from the station. Pick up a summer coat for less than ¥3,000 and ladies shoes for about the same. Many of these cheaper shoes come from China. Any Tokyo fun guide would be crammed with amazing things you can do. Visitors in town over a Saturday can check out the interesting weekend flea market around the Shibuya Meiji Shrine. Not far from here, Yoyogi Park is worth a stroll as well though the Sunday synchronised dance-and-rock buzz is gone with residents voting out the surging decibels. 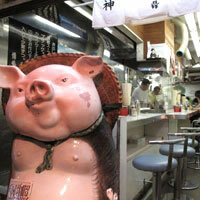 Shibuya is awash with restaurants and bars. If you need a place to hang out because the weather’s too cold, or hot, or wet, waltz into Mark City, a mega-department-store with restaurants on the fourth level. And for antique collectors, Harajuku’s Fuji Tori (tel: 3400-2777, www.fuji-torii.com) is a popular prowl. 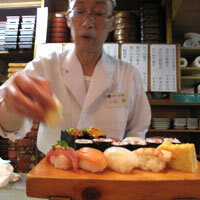 If you were able to rise at crack of dawn, you may have tried a walkabout in the Tsukiji Fish Market at 5am or earlier. The market was being phased out mid-October 2018 with a new and modern location set at Toyosu Fish Market (www.japan-guide.com). The clamorous bidding area where giant tuna and exotic catch were hauled on the scales was not for everyone but tourists can still sniff some action in the new market and enjoy dining on fresh catch in various restaurants, a bit more organised and refined compared with the hole-in-wall din of the old market. If you have a sweet tooth, venture out to a Toshi Yoroizuka (1/F Tokyo Midtown, Roppongi, tel: [81-3] 5413-3650, www.grand-patissier.info/ToshiYoroizuka/) patisserie where the Japanese Michelin-star chef churns out creamy delights. The outlets are open 11am to 9pm with a small seating area and a lively takeaway business. They can wrap up your confectionary in a special dry-ice soft bag for the ride home, or even a flight. And for a none too expensive tipple head to the Sake Plaza (exit 9 Ginza Line at Toranomon, www.saketest.com/brands/sakeplaza) showroom at the Japan Sake Brewers Association Building in Nishi-Shimbashi. Here for a small sum you get five small cups to try out. Spend an afternoon here but you'll need to wrap up by 5.30pm (Mondays to Fridays). You'll need derring-do for the dash into speciality fruit store Sembikiya (www.sembikiya.co.jp) below the Mandarin Oriental hotel where a pair of perfect musk melons will set you back ¥33,000 or more. The National Children’s Castle (tel: 3797-5666, www.kodomono-shiro.or.jp) may sound like something out of Harry Potter but is, in reality, just another office block. Inside it is a different story altogether. The place has several floors devoted to kids from toddlers up with play netting, mini-pool tables, swimming pool and assorted distractions. The “castle” is between Shibuya Station and Omote-sando Station. There is a modest entrance fee. Toddlers are free. Odaiba, the artificial island in Tokyo Bay at one end of the Rainbow Bridge is another spot for teen crowds, video gaming, ferris wheels, and cartoon characters like "Gundan". The area is also developing as a exhibition and conventions zone for fairs and large meets. MICE planners should check out Tokyo Big Sight (www.bigsight.jp). Ogling at buildings is another excellent, no-cost, pastime and the Dentsu tower, all gleaming minimalist grey metal, sheer glass walls and vertiginous lifts, is breathtaking. For fun pop into the basement Advertising Museum (tel: 6218-2500) for some quirky displays. In the Asakusa area is the soaring Tokyo SkyTree (www.tokyo-skytree.jp) that opened in May, 2012. It is yet another tower to view the city from though there are several other vantage points scattered around Tokyo. Adults can pick up a ¥2,000 ticket from the fourth floor ticket office. En route, stop by the quirky Asakusa Culture Tourist Information Center (tel: [81-3] 3842-5566, taitonavi.jp), another modern architectural marvel. It is a timber and glass construct that will challenge your perception as it always appears the misaligned "stacked huts" are about to tumble down. 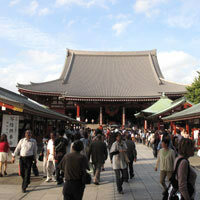 Other items at the top of your quick to-do Tokyo list might include, a temple tour of the stately Senso-ji Temple in Asakusa where fortune tellers and street stalls await, a visit to the Imperial Palace, a stroll through Ueno Garden, especially during the cherry blossom season in late March, or an evening at the Kabuki-Za theatre (tel: 3541-3131), where ponderous plays run for hours, unravelling in mysterious slow-mo. Now that your wife is shopped out and your bank manager is hollering on the line, pack her off to a Kabuki show. Collect her three days later at interval. The kids will, of course, be camped at Tokyo Disneyland (tel: [81-47] 354-0001, www.tokyodisneyresort.co.jp), in Maihama, a 20-minute train ride from Tokyo Station on the JR Keiyo Line. Tokyo DisneySea is open as well. For another stage show with a twist, venture to the Takarazuka Theatre near the Imperial Hotel where an all-woman cast performs Japanese musicals. The cheapest Tokyo nightlife action is in Shinkuku's Kabukicho area where blinking neon and announcements lure the unwary into peep shows, bawdy bars, and massage parlours. The latest attraction is the Brobdingnagian Robot Cafe (https://www.shinjuku-robot.com/pc/) where giant scantily clad female robots are manipulated by levers and electronics for a cabaret show that will leave many speechless. There are also bikini dancers, lounge singers, and food. If that doesn’t do it, head up to the Shinjuku Park Hyatt’s swish 52nd floor New York Bar (tel: [81-3] 5323-3458), listen to jazz and watch the Shinjuku lights below through floor-to-ceiling windows. This is the bar that featured prominently in the movie Lost in Translation. Fortunately, the waitresses speak English. No robots here. For saner nightlife there’s nothing better than a trawl of Roppongi's bars and pubs. The spiky-haired young and restless have been increasingly replaced by the middle-aged and legless in search of twee after-hours titillation at gentlemen’s clubs, but the place retains its buzz especially on Friday nights. The Beatles mania Cavern Club has closed down but Abbey Road (Roppongi Building, Annexe B1, www.abbeyroad.ne.jp) continues to offer live music shows from ¥1,900-¥2,300 or more depending on the band with a further charge for food and drinks. You might even spot The Parrots, a Japanese Beatles impersonation group that belts out some excellent renditions. A newer live jazz music and dining spot in Roppongi is STB 139 (tel: [81-3] 5474-1395, stb139.co.jp) with a range of solid jazz acts. The night I dropped in, Sadao Watanabe was on. The unpretentious basement Birdland in Roppongi (tel: 3478-3456) was a stalwart of the jazz music scene and hosted live performances of local artists Monday to Saturday. The emphasis was on traditional 1950s jazz with a cover charge. The venue may have closed or moved but you might try this Adachi-ku address. For those missing Blighty, the Hobgoblin pub (www.hobgoblin.jp), is a fairly authentic replication, with pub grub, huge plasma TV screens, and suitably dark ale. Hobgoblin is reputed to have the largest pubs in Tokyo. Find it in Roppongi, Akasaka and Shibuya. Don’t bother with the much touted and frantically advertised Gaspanic clubs unless you’re into raging overdrive and relentless hip-hop head-banging. You may be in the mood for a kosher above-board Alpha Male establishment like Seventh Heaven (tel: 3401-3644, Roppongi, www.seventh-heaven.com) where ¥7,000 buys entry and another ¥7,000 a lap dance by a languorous leggy blonde who will declare she loves you in a heavy East European accent after the first drink. I’m sure she means it. This is your cue to RUN SCREAMING IN ALL DIRECTIONS. For a cheaper scare, happy hour from 7pm-9pm costs ¥5,500 for entry and all you can drink. On the streets take your pick of pubs, Tex-Mex, discos, grunge, live music and roadside noodle stalls where salarymen in obligatory grey suits noisily slurp soba. Dig into tonkatsu at small dives where you’ll need to hit the right flashing button to order your dish. If there’s change left over, head on from the Omotesando crossing towards Kotto Street and the Tokyo jazz Mecca – Blue Note (tel: 5485-0088, www.bluenote.co.jp). With a basement live theatre drawing top-notch international performers like David Sanborn and Lee Ritenour, and decent food at adding:blue restaurant, this is a place for serious music buffs. There are entry charges per person depending on the act. If you’d rather just watch the show, grab a cheaper beer and nurse it, lovingly. This is the spot for good live jazz in Tokyo. A nice way to end an evening is at an oden stall where you’ll be served steaming soup with assorted broiled meats and vegetables. Check out an Ichiran ramen (www.ichiran.co.jp) outlet. You'll find them in Roppongi, Ueno, Shibuya and Harajuku. Pay for your ramen at the push-button counter at the entrance, pick up your meal ticket (around ¥780), enter any available curtained bar-stool single booth and hand in the ticket. It's a bit like eating in a telephone booth. You can customise the flavour by ticking on appropriate boxes indicating strength of flavour and so on. Seating is bar style and not around tables. Do your eating inside and save the socialising for outside. One of the best areas for ramen however is Shinagawa (near Ebisu) where local outlets have won national awards for their noodles and steaming broth. Some of the best tonkatsu is served at Ginza Bai Rin and there's a small outlet two blocks up from the Ginza crossing and a block from Citibank. For something safe in this genre try a Saboten in Shinjuku (where the outlet has its roots) or elsewhere. If the tummy is still talking, stroll over to the yakitori stalls under the train lines at Hibiya and Yurakucho and grab a fast bite. The chicken meatballs are scrumptious. Wash it all down later with some Dai Ginzo saké (the best variety, or Jun Mai) or stronger shochu (wheat grain spirit) popularly drunk with soda and a crushed preserved sour plum. Ask for imo shochu, a particularly potent potato extract, lie back in bed and wait for the earth to move. Well, maybe it’s just a passing train. Or it could be GODZILLA. Grab your stuff and RUN SCREAMING IN ALL DIRECTIONS. The exchange rate is roughly US$1=¥112. A good book to cart with you is the old but still relevant Little Adventures in Tokyo by Rick Kennedy. Also handy is Tokyo for Free by Susan Pompian. Two online resources are Metropolis magazine (metropolis.co.jp), a handy guide with decent bar reviews, and where in tokyo (whereintokyo.com). For more on the joys of saké head to Japan Saké (www.japansake.or.jp). View our large format printable Tokyo subway map. Room rates will vary depending on the season. Winter (December-February) is normally the low season with the best prices. 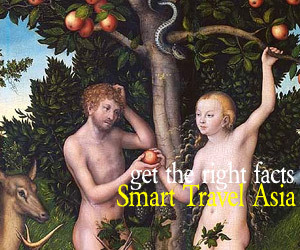 Always check for the best available rates (BAR) online and talk with your travel agent. In general room prices may range from around ¥8,000-¥12,000 at modest establishments, and ¥15,000 -¥30,000 at mid-range hotels to ¥50,000-¥120,000 at International 5-star hotels. Book And Bed Tokyo. 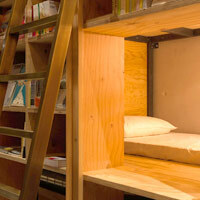 Sleep in a bookshelf. (bookandbedtokyo.com/en/). Circus Outdoor. 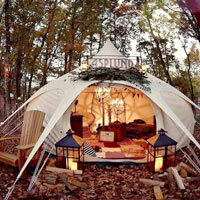 "Glamping' tents, Okutama. (circusoutdoor.com/). Hanare. Traditional style in an old Yanaka district. (hanare.hagiso.jp/en/). Imperial Hotel Tokyo. Tel: [81-3] 3504-1111, (www.imperialhotel.co.jp). The Peninsula Tokyo. Tel: [81-3] 6270-2888, (www.peninsula.com/tokyo/). Mercure Tokyo Ginza. Tel: [81-3] 4335-1111, (www.accorhotels.com/mercure-tokyo-ginza). Conrad Tokyo. Tel: [81-3] 6388-8000, (conradhotels.hilton.com/conrad-tokyo). Park Hotel Tokyo. Tel: [81-3] 6252-1111, (en.parkhoteltokyo.com). Aman Tokyo. Tel: [81-3] 5224-3333, (www.aman.com/tokyo). Four Seasons Hotel Tokyo at Marunouchi. Tel: [81-3] 5222-7222, (www.fourseasons.com/marunouchi/). Mandarin Oriental, Tokyo. Tel: [81-3] 3720-8800, (www.mandarinoriental.com/tokyo/). Marunouchi Hotel. Tel: [81-3] 3217-1111, (www.marunouchi-hotel.co.jp). Palace Hotel Tokyo. 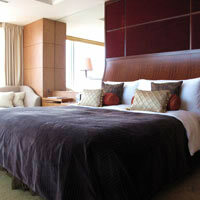 Tel: [81-3] 3211-5211, (en.palacehoteltokyo.com). Shangri-La Hotel, Tokyo. Tel: [81-3] 6739-7888, (www.shangri-la.com/tokyo/shangrila). The Tokyo Station Hotel. Tel: [81-3] 5220-1111, (www.thetokyostationhotel.jp). Hotel Grand Palace. Tel: [81-3] 3264-1111, (www.grandpalace.co.jp). Hotel Villa Fontaine. Tel: [81-3] 3222-8880, (www.hvf.jp). Keio Presso Inn Kudanshita. Tel: [81-3] 3511-0202, (www.presso-inn.com). Tokyo Dome Hotel. Tel: [81-3] 5805-2111, (www.tokyodome-hotels.co.jp). Tokyo Green Hotel. Tel: [83-3] 3816-4161, (www.greenhotel.co.jp). Grand Central Hotel. Tel: [81-3] 3256-3211, (www.pelican.co.jp/grandcentralhotel/index.html). The Gate Hotel. Tel: [81-3] 5826-3877, (www.gate-hotel.jp). ANA Intercontinental Tokyo. Tel: [81-3] 3505-1111, (www.anaintercontinental-tokyo.jp). Andaz Tokyo Toranomon Hills. Tel: [81-3] 6830-1000, (www.hyatt.com/andaz-tokyo-toranomon). Grand Hyatt Tokyo. Tel: [81-3] 4333-1234, (www.hyatt.com/grand-hyatt-tokyo). Hotel New Otani. Tel: [81-3] 3265-1111, (www.newotani.co.jp). Oakwood Residence Akasaka. Tel: [81-3] 5572-8801, (www.oakwoodasia.com). Oakwood Apartments Roppongi Central. Tel: [81-3] 5412-6800, (www.oakwood.com/tokyo-roppongi/). The Ritz-Carlton Tokyo. 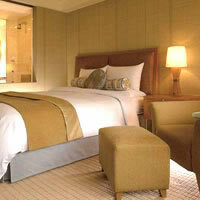 Tel: [81-3] 3423-8000, (www.ritzcarlton.com). Hotel Okura Tokyo. Tel: [81-3] 3582-0111, (www.hotelokura.co.jp/tokyo/). Hotel Chinzanso Tokyo (formerly Four Seasons). Tel: [81-3] 3943-1111, (www.hotel-chinzanso-tokyo.com). Hotel Metropolitan Tokyo. Tel: [81-3] 3980-1111, (ikebukuro.metropolitan.jp/). Sakura Hotel. Tel: [81-3] 3971-2237, (www.sakura-hotel-ikebukuro.com). Hilton Tokyo. Tel: [81-3] 3344-5111, fax: 3342-6094, (e-mail: tokyo@hilton.com or www3.hilton.com/hotels/hilton-tokyo). Hyatt Regency Tokyo. Tel: [81-3] 3348-1234, (www.hyatt.com/hyatt-regency-tokyo/). Ibis Tokyo Shinjuku. Tel: [81-3] 3361-1111, (www.accorhotels.com/ibis-tokyo-shinjuku). Keio Plaza Hotel Tokyo. Tel: [81-3] 3344-0111, (www.keioplaza.com). Park Hyatt Tokyo. Tel: [81-3] 5322-1234, (www.hyatt.com/park-hyatt-tokyo). Shinjuku Prince Hotel. Tel: [81-3] 3205-1111, (www.princehotels.com/shinjuku/). The Westin Tokyo. Tel: [81-3] 5423-7000, (www.marriott.com/westin-tokyo).